Seriously? I’m already starting week 3? Time is flying!! 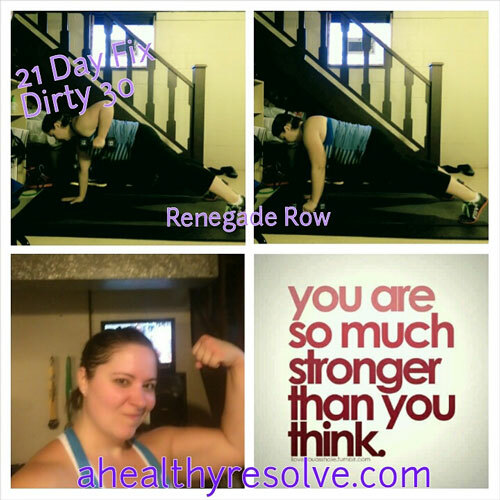 I LOVE LOVE LOVE the 21 Day Fix workouts. They are such a perfect mix of cardio and strength training. They would be perfect for someone who wasn’t completely comfortable with weights and needed some guidance as well. I’ve been feeling really strong when it comes to the workouts. This week is doubles week. So I will be doing two workouts a day. :) Is it weird that I’m looking forward to it? Now...let’s talk about nutrition. I was really sick at the beginning of this week. I have some issues with GERD (silent reflux). Sometimes (still unknown why), it becomes ‘not so silent’ and makes me pretty miserable. I get a bronchitis-like cough. It’s awful and it’s really tough to get back under control. So for the first 3-4 days of last week, I didn’t eat much. Every time I did eat, I would feel pretty bad. I was lacking energy and exhausted. I drank a lot of apple cider vinegar and ginger tea. By the end of the week, it is finally somewhat under control again. So, even though I have been trying to stay away from the scale until the end of these three weeks, I’m sure it will be affected. :( Sometimes we have situations in our lives that are out of our control. All we can do is our best and move on! So this week now that I’m feeling better, I am back to eating all of my containers and staying on track. I will need all of that nutrition to fuel my double workouts! Last night I wasn't feeling well so I decided to just have oatmeal for dinner. Since it is the season of pumpkin everything, I decided to do a pumpkin pie version. It's super easy! Unfortunately, I didn't get to eat it all because the little man stole it from me! I think it is safe to say...kid approved! Haha! Stove (preferred method): Add all ingredients to sauce pan. Heat to simmer and then lower heat to allow oats to soften. Cook on low for 3-5 minutes or until oatmeal is thickened. 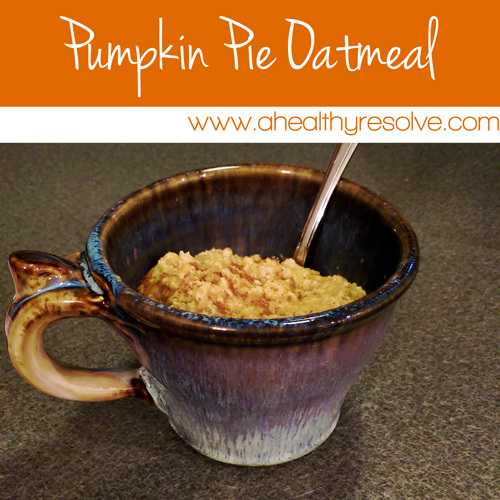 Microwave: Add oats, milk, and water to a microwave safe bowl. Microwave for 2 minutes or until oats are cooked through. Add pumpkin, syrup and spice. I love this time of year. To me, it means beautiful fall colors, pumpkin patch visits, apple cider, trick or treating, holidays, family, friends, parties, and the list goes on! Doesn’t it seem like once Halloween arrives, the rest of the year just flies by? Before you know it, Thanksgiving is here, then you are caught up in the hustle and bustle of Christmas, and then Christmas and New Year’s Eve just sneaks right in there too! Our lives get hectic. Our fitness and nutrition takes a back seat. 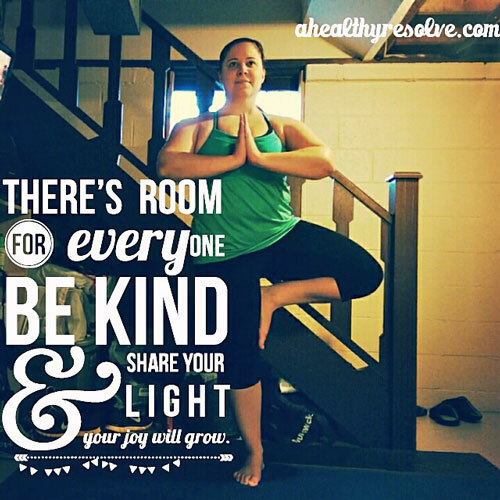 In January, we emerge from the craziness and feel like we have to start our fitness journey all over again! I have been there! I have done this same cycle year after year. THIS year will be different and I’m inviting you to join me! 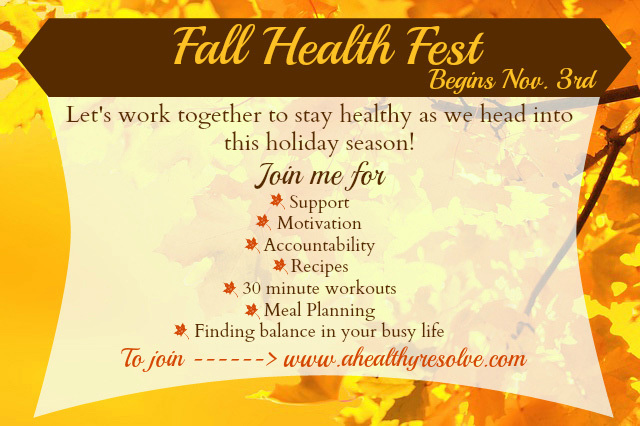 Fall Health Fest - Keeping the Holidays Healthy!! 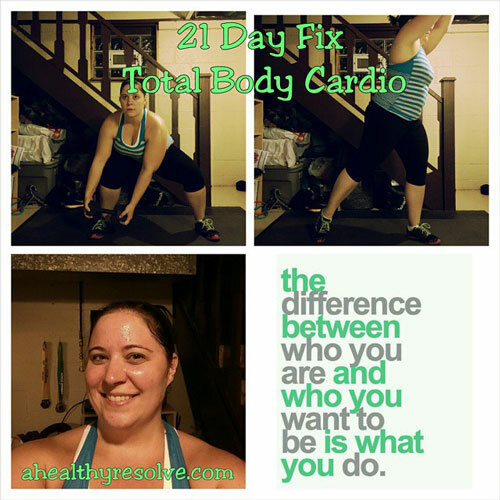 I have to tell you that I am LOVING the 21 Day Fix program. Seriously. I love the way she does the workouts in rounds. I am never looking at the clock and the 30 minutes go by so quickly. I love that I was so sore the first few days even though I have been working out and running consistently for the past year. I love that I am dripping sweat by the end of each workout. I love that there is a fantastic mix of cardio and weight training. I love that the containers make tracking my nutrition so much easier! This program really is one of my favorites! I was on point with all of my workouts this week. I struggled slightly with my nutrition but I did MUCH better than I have in the past. My biggest issue was eating enough. There were some days when I was way under what I needed to eat. However, I have to say that my accountability group has been amazing. We have been posting our meals and giving so much support. These ladies are doing AWESOME!!! Keep pushing! Never give up! You will get stronger EVERY DAY! Everyone's journey is so unique. We all start from a different place. We have our own reasons, setbacks, obstacles, or failures that have brought us to 'rock bottom'. Rock bottom isn't a fun place for anyone. You feel lost. You feel alone. It's hard to see a way out. That's where I was 2 years ago when I started my journey. I felt awful. My body had failed me. I was only in my 30s and had already had major back surgery. I was supposed to (at least in my own head) be able to bounce back. My body had other ideas. I was supposed to be pain-free. But I was in pain EVERY DAY. It was different pain than before the surgery but in some ways it was so much worse. I was SO DEPRESSED. As an emotional eater, I turned to food. I just wanted to eat, sleep and cry. That is the reality. It still makes me emotional. I have tears welling in my eyes as I type this and the feelings from that time come rushing back to me. I have a family. I have two beautiful little boys who are depending on me to be mom and I was failing. I will never forget the day that I hit rock bottom. I was looking at a picture from Christmas and I truly realized where I was with my health and came to the very real truth that if I continued down this path, I would be headed to an early grave. That may sound dramatic but it is so true. I wasn't taking care of myself. 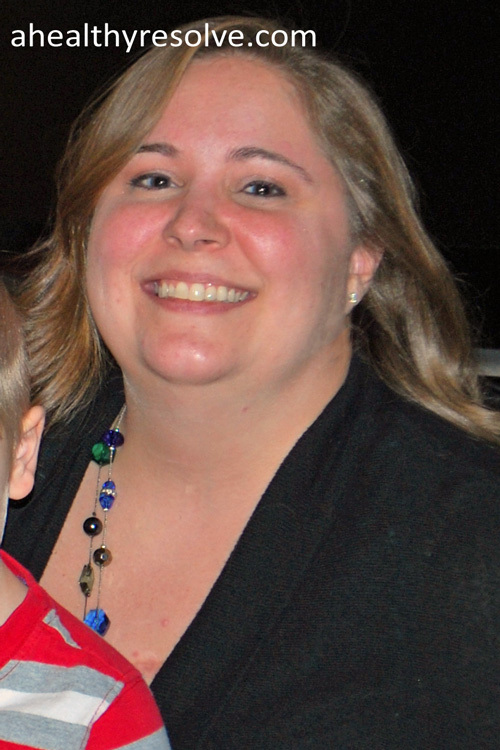 This is when I decided to make a change; for me, for my husband, for my boys. I started walking. That was a feat in itself. I started working out. I started feeling better. I started drinking Shakeology. My body that had been treated so badly and fed so many poor food choices, rejoiced at this change. I got more energy. I set bigger goals. I started talking more about what I was doing and realizing that my story, while to this day is still very personal and painful for me to talk about, may actually be able to help someone. I could inspire someone else to believe that they could get past that dark place. They could get healthy and feel good again. It has given me a purpose. It has been the silver lining in this whole situation. Every time I want to give up, I remember how I felt and how far I have come. What a crazy week/weekend! I am all out of sorts which is why this post is coming so late. 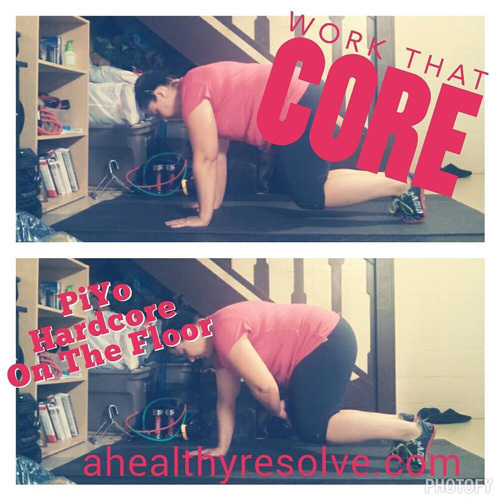 I wrapped up PiYo last week. I actually found myself a little sad on the last day. I will definitely continue to sprinkle some of the workouts in my schedule from this point forward. I really wish I had these great progress pictures to show you but I am always honest to a fault. So here is the story. My nutrition sucked. There it is. I said it. I didn’t stay consistent and as a result, my progress suffered. I was on point with my workouts. The important thing for you to take from this is that nutrition is the MOST important part! Working out is fantastic and will help to keep your heart healthy, but if you don’t put the same effort in the kitchen you will not get the results you are hoping for! Learn from my mistakes! 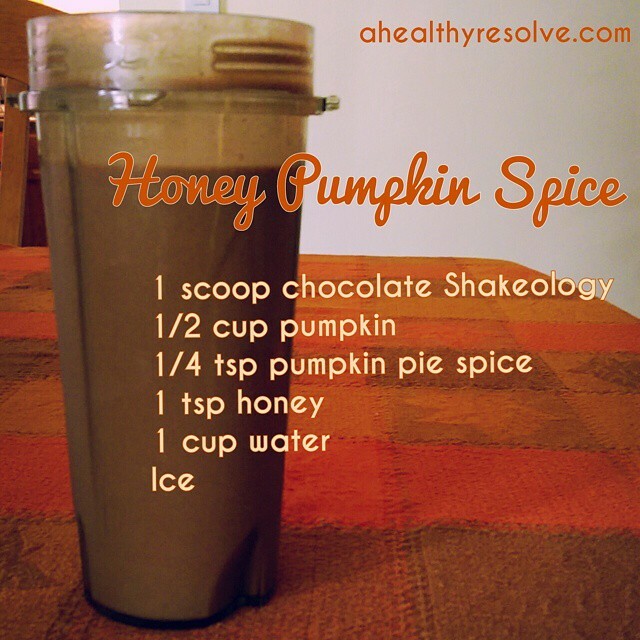 I love all things pumpkin.You really can't go wrong in my opinion! :P This shake is SO good! I probably use more than a cup of water but it just depends on how thick you like your shakes. Enjoy! I'm not going to lie. Until recently, we were a Manwich family. I knew that I didn't like the ingredients in it, but I hadn't been able to recreate it well enough to satisfy the whole family. That is...until now! 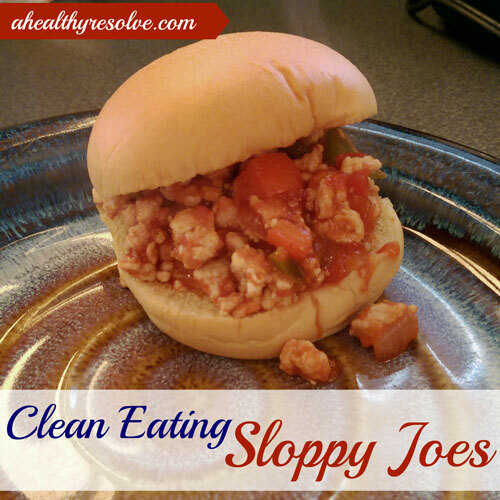 :) I made this sloppy joe recipe tonight and it turned out pretty good. In fact, my boys, who don't usually care for sloppy joes, loved it! I hope your family does too! In a large pan over medium-high heat, add oil, onion, and peppers to pan. I chopped mine pretty small so that they wouldn't take long to soften and so that my boys wouldn't notice them as much. Cook until onions become translucent and peppers are soft. Add ground turkey to pan and brown in the peppers and onion mixture. Once turkey is cooked completely, add tomato sauce, ketchup, garlic powder and onion powder. Stir together well and let simmer for 5-10 minutes until sauce thickens. Serve on roll, over potatoes or on a salad. 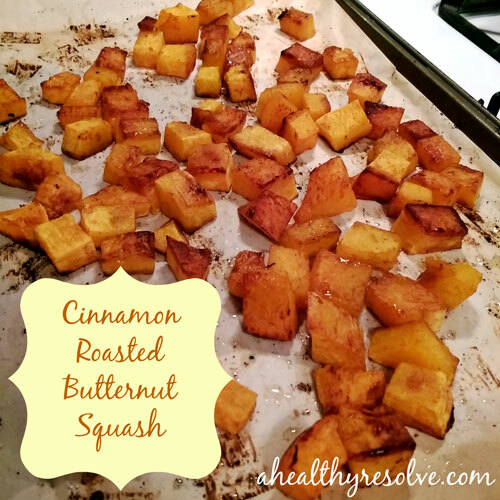 This butternut squash recipe was deemed by my 6 year old as 'the best ever!' and 'so good!'. I would have to agree. :) The cinnamon and syrup make a delicious pairing. I'm surprised it made it to the table! Mix oil, syrup, cinnamon and salt together in a bowl. Toss mixture over the squash covering each piece. Spread the coated squash out on the baking sheet. Be sure that you don't crowd the pieces so that they are able to carmelize. Bake in oven for about 45 minutes, flipping once half way through cooking, until golden brown. The past week was a rough one for me. My husband was out of town for work so I was on single mom duty. (Shout out to all of the single parents out there. It isn't easy doing it all on your own!) I was able to keep up with my workouts but I wasn't able to get out for a run all week. I also came down with a fantastic cough so my lung capacity isn't what it should be, therefore I didn't run this weekend either. I'm frustrated. I'm not going to lie. But I'm looking forward to a fresh start this week! I am still doing physical therapy for my torn hamstring and strengthening my glute. I had a appointment Tuesday. Talk about EMBARRASSING! I was literally dripping sweat. They had to give me a towel. To be fair, I had worked out that morning so my body temperature was already up and they had me on the elliptical first but it was still mortifying. I can't believe I have to show my face there again! :P O'well. I can't be the only one that has had that happen before right?? RIGHT??? Anyone??? Anyway, I can't believe this is my last week of PiYo. 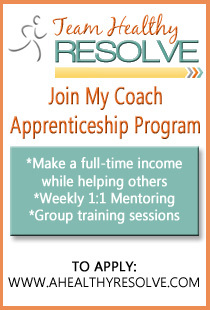 This program has really exceeded my expectations. 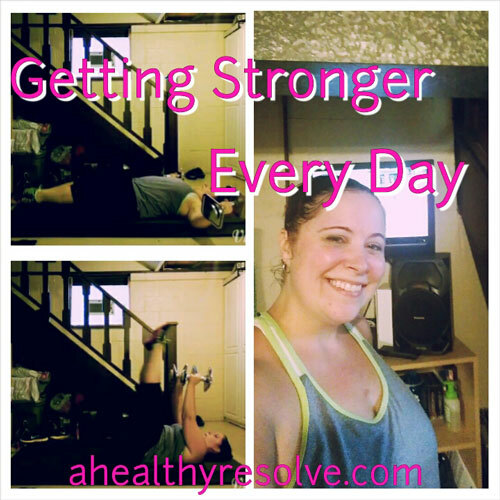 I have noticed so many changes in my strength and flexibility over the last 7 weeks. I am really disappointed that my nutrition hasn't been where it should have been because I know that my weight/measurement results would have been much better. But here is the thing, we learn from our mistakes. Every day I'm a little better than I was yesterday. I'm a little stronger, wiser, and smarter. I will keep moving forward. I will continue to work at controlling my emotional eating habits. One day I will look back on these struggles and see how far I have come. A time when food no longer has the control, I do! I used a whoopie pie pan for making my eggs. It works perfectly, but you could use any type of pan or ramekin with the right size for making the eggs for your muffins. Lightly spray pan with cooking spray to be sure that the eggs do not stick. Put eggs in pan and break yokes. Cook in the oven for 10 minutes (or until the eggs are cooked through). Take them out and let them cool completely. 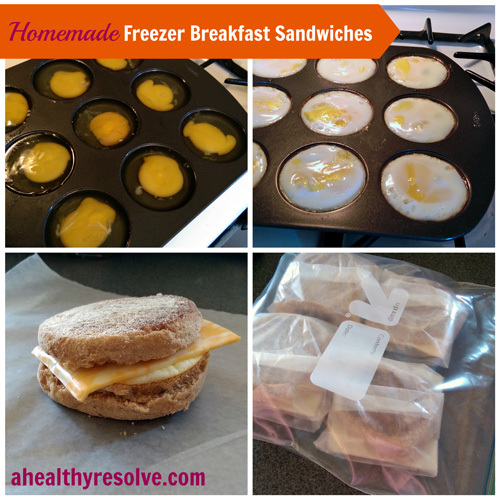 After the eggs have cooled, assemble the sandwiches per your preference. 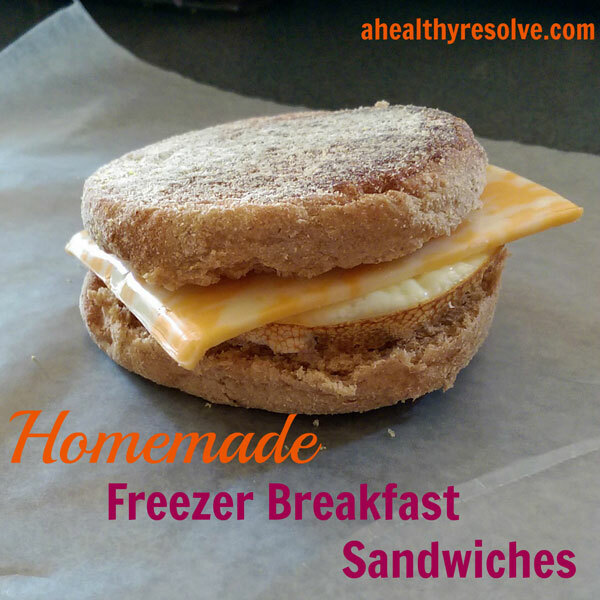 Wrap the completed sandwich in wax paper, put in a freezer safe bag and put it in the freezer. To Reheat: To reheat your sandwiches, take them out of the plastic bag and put it in the microwave for 60 seconds (flipping half-way through). Growing up, food was always one of those things that we did as a family as a reward and that made us happy. Many of my fondest memories from growing up involve some kind of food component, and was often an unhealthy treat. We didn't know any better. 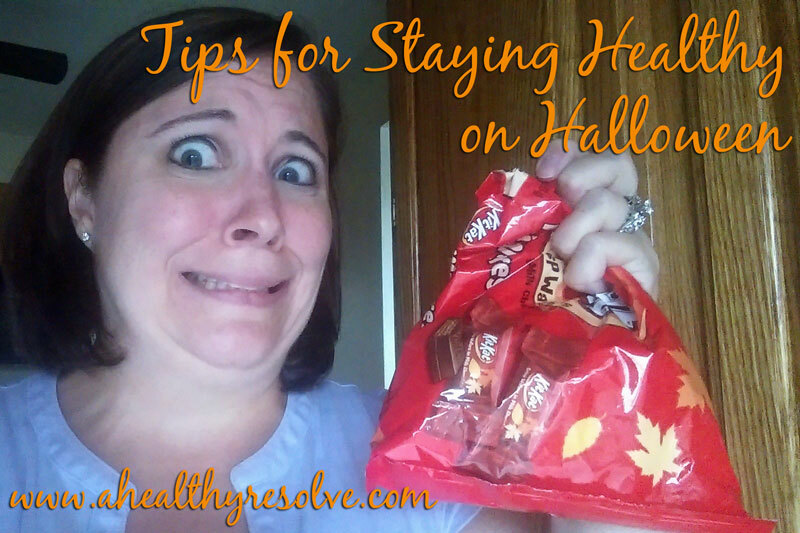 And now, as I am raising my own boys, I struggle with making the best healthy choices for them. Sometimes it is hard to tell them no when they want that sugary, unhealthy treat. I just want them to be happy. But I know those treats won't do anything for their hunger, nor their bodies. Now I don't want you to get the wrong idea, I do allow them treats occasionally but for the most part we focus on trying to teach them healthy habits. My hope is that if they learn them now and it becomes a natural part of their lifestyle, when they are older it won't be such a struggle for them to be healthy. It will be natural for them to eat appropriate portions, choose healthy options and to stay active and fit. So how do I do this? You might be thinking, “my kids fight me over every meal! They don't like things that are healthy!” Mine were too, at first. We have had many battles at the dinner table and, while it is frustrating, I promise it is worth it.